C-700 SpectroMasterThe Sekonic SpectroMaster C-700 is designed for motion and still image captures w.. The SPECTROMASTER C-7000 is a portable handheld spectrometer, designed especially for industrial use.. The Sekonic SpectroMaster C-700R is designed for motion and still image captures who must produce qu..
Sekonic I-346 je svjetlomjer koji vrijednosti svjetla očitava u LUX-ima i foot-candel-ima.Jednostava.. 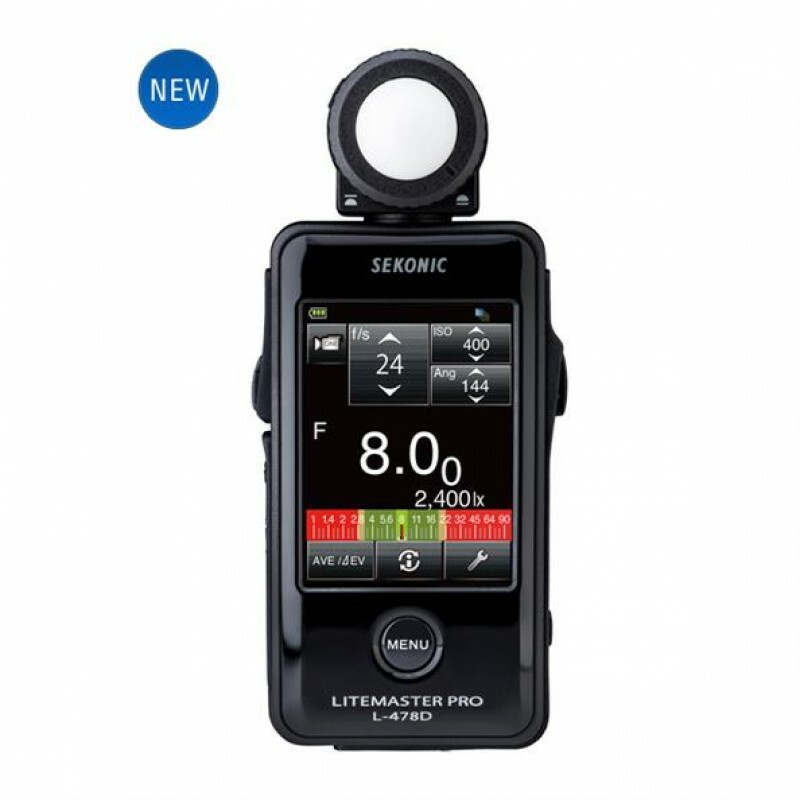 The Sekonic L-208 TwinMate is a palm-sized analog light meter for hand-held incident and reflected a..
Sekonic's new LITEMASTER PRO L-478D meter is the world's first touch-screen-operated light meter. It..
L-478DR LiteMaster Pro (for PocketWizard)Sekonic's LITEMASTER PRO L-478-Series meters are the world'..
LiteMaster Pro L-478DR-ELSekonic's LITEMASTER PRO L-478-Series meters are the world's first touch-sc..
LiteMaster Pro L-478DR-PXSekonic's LITEMASTER PRO L-478-Series meters are the world's first touch-sc..
L-858D Speedmaster Light MeterWith it's 2.7" color touch screen and truly innovative and sophisticat.. The Sekonic RT-3PW is an add-on PocketWizard radio transmitter module for the Sekonic L-858D light m..
Sekonic Transmitter Module RT-EL/PX for L-858D-U Speedmaster light meter. Used to trigger Elinchrom(..